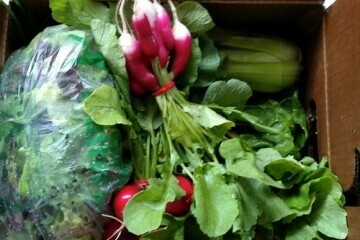 Chemical-free vegetables are delivered from their farm directly to your door every week. The summer share is 6-12 different vegetables for 18 weeks. Each fall box contains roughly 30 pounds of root vegetables.